I sure hope my title says Red and White Tribute Quilt Update! I thought maybe you would be ready for a change of pace, and since I'm still working away on my red and white tribute quilt, (and have been since the middle of JUNE!) the best I could do for a change of pace was messing with my title . . .
a little bigger zigzag pattern. This will be trimmed to fit somewhere. This was my inspiration, Quilt #930, which hung in Pavilion 11, Exterior, at the Infinite Variety Three Centuries of Red and White Quilts show at the American Folk Art Museum. this is Quilt #132, which hung in Pavilion 1, Interior Bottom. Or maybe this . .
Quilt # 1041, which hung in Pavilion 10, the Interior top. There's something going on in this quilt that gives it more of a presence of white fabric which I find very interesting. The white side of the block is the same size as the red side with the hsts, subtle isn't it! So far, my "quilts" have been predominately white, so I figured I better go with quilt 132, even though I really prefer quilt number 1041. But at this point I need to think about the finished top and stop picking what I like the best. So I made this. The blocks with the hsts finish at 5 inches. On another note, winner, winner, chicken dinner! 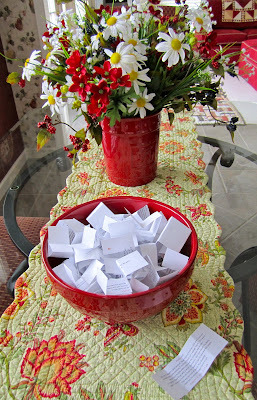 I was so excited so many folks were interested in my Saltbox Harvest by Deb Strain for Moda scraps. I plan to do this more often with future projects since there seems to be so many folks willing to try and make something out of my leftovers. But really, in this case, there is quite a bit of leftover, more than my usual projects. I enjoyed reading about everyone's favorite vacation destinations. Hawaii and Alaska were already on my list, and I've done a pretty good job of hitting the major Pacific Coast destinations, but I've not been to the North Atlantic coast at all, and after reading your comments, Maine is now on my destination list, plus some of the other coastal cities out east. One thing I have to agree with, sometimes it's not the destination but the company that makes a vacation. I take a one week vacation each year with my daughter, and it doesn't matter where we go, it's one of the best weeks of the year for me. Brandie, at abc (a Brandie Creation). Congratulations Brandie, and thanks to everyone who took the time to share their favorite vacation destination with me. Love the red and white ideas Thelma! I am enjoying watching your red and white quilt grow. Love the inspiration from the show. I really love watching your R&W journey! I'm so intrigued by your red and white tribute quilt. I really look forward to each new step. I think its going to be one of my all time favorite quilts. Love the red and white tribute! That zig zag is just so lovely!! Thank you, Thank you! I'm going to have fun with these scraps! I am loving your red and white tribute. It going to be great! But it makes me sad I haven't finished my schoolhouses. I'm one set closer, it's now pinned. ah yes I need to get back to making a few more too! 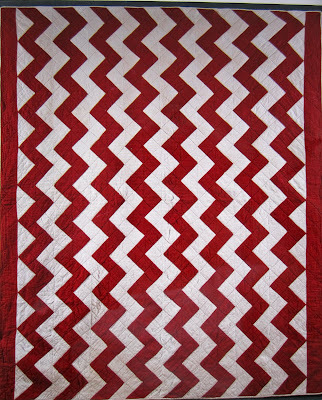 the red and white zig zag is on my list too! 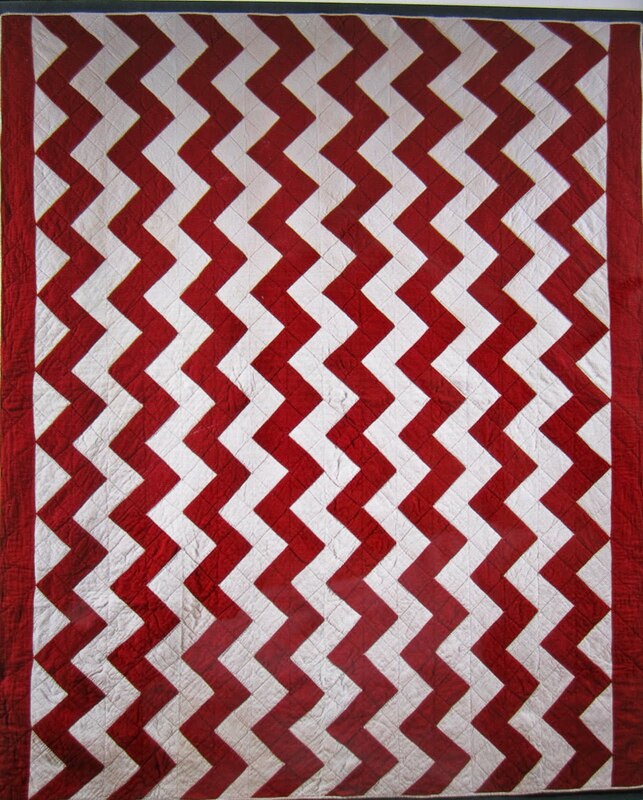 One day I would like to do a zig zag quilt. Your R/W is looking great.